The Alaskan White Knights are Waffling, and We Have Homework to Do. What do you do when your Governor is accountable to your Attorney General, and your Attorney General is accountable to your Governor, and neither one of them will either acknowledge or administer consequences for bad behavior. It’s like a kid whose Mom says, “Go ask Dad,” and whose Dad says, “Go ask Mom.” Neither one of them wants to be accountable, and neither one of them has any intention of answering the question. They are hoping the kid will go away. What do you do when the Legislature, the voice of the people who hired the Governor, also refuses to administer consequences for bad behavior, and simply stands mute? And what do you do when that silence then turns into statements that run not only counter to the expectation of the people, but to their job description, and the bounds of ethics and the law? What do you do when your “voice” no longer speaks for you? I have a small understanding about how people with Tourette syndrome, or muscular spasms must feel. It must feel like a betrayal of mind and body when the things that are meant, on the most basic level, to represent you (your voice, and your actions) are hijacked by unknown forces, leaving you making declarations and gestures that have no connection with your true intent. I have often compared the Democrats of the Legislature to white knights. I’ve been blown away at times by their bravery, their conviction, and the fact that they put themselves out on a limb to do the right thing. And I’ve also given a pat on the back to Republicans who have planted themselves on the right side of the fence despite their party affiliation. In some ways the Repulicans had the harder job. When the bipartisan Legislative Council voted to make public the Troopergate report whose first finding was that Sarah Palin abused her power and violated the Alaska Executive Branch Ethics Act, I was amazed. I began to…dare I say it aloud….have faith in my Legislature. All of them. Call me crazy, but I think ethics really matters. If you polled voters and asked if they’d rather have an ethical politician or an unethical one, you’d get the obvious answer. And if you broke down the results of this poll by party affiliation, I don’t think you’d find much difference. Everyone wants ethical politicians. So, why, after a candidate has been elected, would anyone want to stop a process that was designed to find out if that politician is corrupt? Why would you budget $100,000 for an investigation to find out whether a politician violated the ethics act if you were going to ignore the finding? And why, if the findings showed that the politician had indeed violated the ethics act, would you decide to give them a free pass? And why, if witnesses, and perhaps the head of the Department of Law violated…..the LAW, would you be just fine with that? For right now, I’m going to give our White Knights on both sides of the aisle the benefit of the doubt. 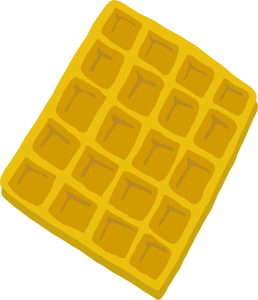 I, on behalf of the villagers, am going to accept some responsibility for their waffling. Perhaps we just haven’t been doing a good enough job of letting them know we’re here, and that we’re going to back them up. Maybe they really think people don’t care. Perhaps they feel like they’re headed off to battle with no ammunition. That has to be scary. So here’s your homework Mudflatters… As a Thanksgiving present to the Alaska State Legislature, I want you to give them some ammunition. Every email you send, every letter you write, every phone call you make is an arrow in their quiver. Phone calls count as two arrows…maybe even three. I want our white knights to be armed to the teeth. I want them to ride into battle feeling invincible. I don’t want them to feel like they were abandoned by the village. Let’s hang a garland of flowers around their necks, and sent them off with a full quiver of public outrage. I’m not willing to throw them under the horse just yet. For emails to all Alaska State Legislators – Click HERE – then cut & paste them all into your email address bar. Mark “Stomach of Iron” Begich Speaks. Mark Begich made a radio appearance on the Ed Schultz show today. He sounded pretty confident, but not cocky. He’s been through this before. When he was elected Mayor of Anchorage, he won by 18 votes. So his current lead of 814 seems like a landslide! His strong showing in districts with military bases, and out in rural Alaska speak volumes, coming from areas that have traditionally gone to Stevens. He also discussed Sarah Palin’s potential plans for the future, including either throwing her hat in the ring if Stevens wins and is booted out by the Senate, running in 2010 for the Senate seat currently held by Lisa Murkowski, or running for President in 2012. He also used the word “debacle” when describing the McCain-Palin campaign, which made me smile. Begich picked up on Palin’s recent quote, “I am not one to appoint myself or a member of my family to take the place of any [Senate] vacancy.” As you all know by now, she couldn’t do that anyway because it’s illegal…but it was a pretty obvious jab at Senator Lisa Murkowski, who was appointed to that position by her father Frank Murkowski when he left his Senate seat to become Governor of the state. He’s the one Palin trounced in the primary when she ran for the position. She may have Murkowski #2 in her cross hairs. Donations big or small would be most appreciated, I’m sure. Ted Stevens’ Trial…Closing Arguments Begin. We’ve heard about massage chairs, sled dog puppies, and giant black furniture. We’ve heard from contractors, and former best friends, and Mrs. Stevens. We’ve been regaled with stories of male-bonding and wine drinking for weight loss in the desert Southwest. I refer, of course, to the Ted Stevens trial. All in all the trial has been very….Alaskan. Stevens faces seven felony counts of failure to disclose gifts on his Senate Financial Disclosure Forms. Today is the day closing arguments begin, and the prosecution is presenting its case right now. By tomorrow, the jury deliberations will have started. WASHINGTON – As prosecutors made their final argument Tuesday to jurors in Sen. Ted Stevens’ corruption case, they replayed a now-infamous recording of the senator, who told a close friend that the worst that could ever happen to him as a result of a federal investigation would be a little jail time, or perhaps excessive legal bills. “Does that sound like someone who really believes he didn’t do something wrong?” asked prosecutor Joseph Bottini, an assistant U.S. Attorney from Anchorage who delivered closing arguments for the Justice Department this morning. Some of those things Stevens was given were smaller than others, Bottini acknowledged, such as a stained glass window and a generator. But none of those items were ever disclosed as gifts on his financial disclosure forms, Bottini said. And “how he treats these smaller items speaks volumes about how he intended to treat the bigger ticket items, like the home remodel,” Bottini said. His attitude was clear when he tried to figure out how to disclose the value of a sled dog his friends bought him at a charity auction, Bottini said. Stevens, in asking about the dog, wrote an e-mail describing the disclosure requirements as a “GD” disclosure form. Alaskans are sitting on the edge of their seats. The one furthest on the edge? 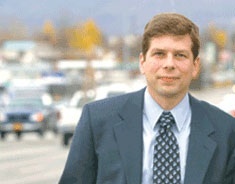 Other than Ted himself, it’s probably Anchorage Mayor, and Stevens’ Democratic rival for the senate seat, Mark Begich. An acquittal for Stevens makes his job a lot more daunting. “First they ignore you, then they mock you, then they fight you. Then you win.” So said, Mahatma Gandhi. How can it not make a person chuckle when the McCain-Palin crew makes you think of Gandhi? There’s no doubt that the Alaska Republican Party is not amused by the massive anti-Palin rallies that have been taking place here in the great city of Anchorage. The “Hold Palin Accountable” rally, which drew a crowd of about 1800 was the largest in Alaska history. It broke the record set two weeks earlier by 1500 who assembled at the “Alaska Women Reject Palin” rally. What was the third biggest? No one even remembers. And then there was the delivery of the petition to remove Attorney General Talis Colberg from office for telling state employees to ignore subpoenas, and furthering the stonewalling of the ethics investigation known as “Troopergate” which looks into Palin’s alleged abuse of power. They ignored the first rally, but they couldn’t ignore the second one, or the petition, which garnered much more media attention. The second rally was dismissed by McCain-Palin as being a “pro Obama rally and nothing more,” or so said Meg Stapleton. Stapleton, Palin’s mouthpiece, and member of the “Truth Squad” was the subject of several of the scathing signs present at last week’s rally. She is now reviled by many Alaskans for slandering respected public figures who have dared to speak truth to power regarding Palin’s ethics investigation. So, (counting on fingers)…that’s ignoring, and then mocking….what’s next? Ah…now they fight you. 3 Ways to Show Your Support for Governor Palin! Thank you for supporting the McCain-Palin ticket. Right now, we are calling upon all Alaskans to help in three simple ways. 1. Sign our petition in support of Governor Palin. Barack Obama‘s operatives have attempted to smear and politically damage our Governor. Please print, sign and fax in the petition below to show your support. We need as many signatures as possible to put a stop to this politically motivated injustice. 2. Join us for a McCain-Palin Victory 2008 vice presidential “debate watching” party at our Alaska Headquarters tonight, October 2nd, as Governor Palin and Senator Biden debate in St. Louis! The debate starts at 5:00 PM, so the party will start at 4:30 PM at our Anchorage Headquarters (307 East Northern Lights Blvd.). Don’t miss this important and historic opportunity to show your support for our Governor! 3. Join us for a McCain-Palin Victory 2008 rally to “Support Governor Palin” this Saturday, October 4th! It will take place at the Anchorage Christian School Gymnasium (6401 E. Northern Lights Blvd, at the corner of Northern Lights and Baxter Rd) at 1:00 PM. All are encouraged to attend. This is your call to action, and please forward it to friends. Please help us show Alaska’s support for Governor Palin to the nation and world. Thank you. Please print, sign, and fax to the Alaska Republican Party at (907)276-0425. We the undersigned voters of Alaska, herby [sic] call for an immediate end to the Obama operative led inquiry in the Alaska Legislature, whose sole purpose has been to smear and politically damage Governor Sarah Palin. The Legislative Council’s Walt Monegan investigation has been hijacked by Obama supporters and as a result no longer has the support of its own committee. We urge our elected officials to stand up and put an immediate end to this political circus that is wasting countless taxpayer dollars and tarnishing the fair reputation of the great state of Alaska. 307 East Northern Lights Blvd. I just can’t stop smiling. I’m not sure how many people will show up at the Anchorage Christian School Gymnasium for the Pro-Palin rally, or why they have scheduled it at exactly the same time and day as the Alaska statewide Obama rally, which may break a record again. I also don’t know where these petitions are going to end up, or what they are actuallly asking for. But I am proud of them for providing the high-tech “fax it in” option for those who can’t drive to the Republican Party headquarters to submit them in person. Soon they will have mastered the spell check on their email, and it surely can’t be much longer after that before they master the free online petition. And as for “tarnishing the reputation of the great state of Alaska”? I think Alaska politicians are doing a fine job of that without the help of “Obama operatives”. I wonder what conservative Republican Wasilla resident and State Senate President Lyda Green will think when she finds out she is an Obama operative? How about right wing radio pundit and columnist Dan Fagan? I wouldn’t want to be in THAT room! OK…. (fingers again)….that’s ignore, mock, fight… There’s only one left. Is it possible that the VP debate won’t be the biggest story in Alaska politics today? The case against Sen. Ted Stevens threatened to collapse today when his attorney demanded a mistrial or dismissal of charges over the failure of the government to turn over evidence favorable to Stevens. The chief prosecutor in the case apologized and called the error a mistake – though she asserted Stevens’ rights weren’t violated. But for the second time in a week, U.S. District Court Judge Emmet Sullivan reprimanded the government, this time accusing it of directly violating his orders. He sent the jury home for the day and ordered both sides to submit briefs on whether he should send jurors home for good. A hearing is set for 4:30 p.m. EST (12:30 p.m. Alaska time) to determine whether to drop the case, declare a mistrial or continue on. A mistrial would allow the government to try Stevens again. Man. 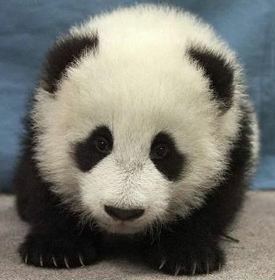 That panda tie may have been lucky after all…. I’ll post more as I know. WASHINGTON – Prosecutors have seriously bungled evidence and witnesses, but Sen. Ted Stevens’ corruption trial will proceed as planned, a federal judge ruled this afternoon. The case against the Alaska Republican had threatened to collapse earlier in the day when his attorney demanded a mistrial or dismissal of charges over the government’s failure to turn over evidence favorable to the senator. U.S. District Judge Emmet Sullivan was angered at prosecutors for their handling of evidence that might help Stevens’ case but was “not persuaded” the violations were serious enough to declare a mistrial. The trial will resume Monday. Judge Sullivan asked whether the defense attorneys wanted a few extra days before continuing with the trial and suggested they could make a new opening statement to jurors. The chief prosecutor in the case apologized and called her team’s oversight a mistake, though she asserted that Stevens’ rights weren’t violated. The defense team was looking for weaknesses and found one, said Brenda Morris, the lead prosecutor on the Justice Department team. Brutus Speaks! Palin’s Reaction to Alaskans for Truth Rally. Sunday, organizers and rally-goers were basking in the afterglow of the “Hold Palin Accountable” rally. The rally got front page coverage in the Anchorage Daily News, and was featured on local and national broadcast news. It was also picked up by newspapers across the country. This was a big step up from the coverage of the last anti-Palin rally. We are being heard. Shortly after the rally, we heard the official response from Sarah Palin, via Meg Stapleton. For a little background, Stapleton was a former news anchor at KTUU, Alaska’s most widely viewed news station. She has at various times also been Palin’s press secretery , and special assistant. She was offered and accepted a position as mouthpiece for the McCain-Palin campaign in August. People used to like Meg Stapleton, the way you do news anchors and assistants to popular governors. Since Stapleton’s faustian bargain with the McCain campaign, she has been the smirking, smearing, condescending, fib-telling face of the “Truth Squad.” The very name of the Squad is Orwellian, and so is Stapleton. She keeps saying, “2+2=5”, and expecting the world to believe it. 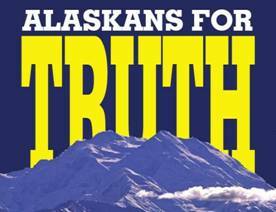 Not only has the Truth Squad been dishonest, but they have systematically and surgically attacked well-respected public servants, for doing their jobs with integrity and the best interest of Alaskans at heart. Except that we don’t know that. And that was never asserted prior to Palin’s August 29 selection by McCain as his running mate. And that’s not the least of the inaccuracies and inconsistencies being peddled by Stapleton and O’Callaghan. When Stapleton alleged that Senator Hollis French (D-Anchorage) decided not to subpoena Palin’s former chief of staff Mike Tibbles, KTUU’s Jason Moore pointed out that it was actually Fairbanks Republican Representative Jay Ramras that requested Tibbles not be subpoenaed. Following that report on KTUU, according to TPMMuckraker.com, Stapleton called Moore’s wife and told her that Moore was calling Stapleton and O’Callaghan liars, then followed up by calling KTUU news director Steve Mac Donald to complain. OK, now we’re ready for the official response from Meg Stapleton about the rally that saw more than 1500 people converge in a downtown Anchorage Park. It is conveniently color coded for you in a lovely shade of muck…just to beat the point to death. “Clearly this was an Obama rally and nothing else. The rally proves the point of partisanship which the Governor has been trying to remove from the investigation in an effort to get a fair and just result. The Governor remains an open book and is fully cooperating with the non-partisan Personnel Board and its independent investigator, which are statutorily authorized to conduct an investigation. Now you know why several people at the rally had signs directed squarely at Meg Stapleton. When Alaskans start quoting Julius Caesar’s “Et tu, Brute?” (Even you Brutus?) you realize the extent to which she is seen as the ultimate betrayer. Strangely, the last time Meg Stapleton got national media attention was during her days at KTUU when a story she was filming made it to Jay Leno. While she was reporting a human interest story, at Christmas time, she knelt down by one of Santa’s reindeer. It got spooked and literally ran her over. Sometimes animals have pretty amazing instincts.